Popular Australian clairvoyant and healer, BelindaGrace, provides the tools to achieving the best in life by focusing on the abundance we already have within us. In today�s fast-paced world many people crave what they think they need�a bigger house, a newer car, yet more clothes, a better body�and worry about how to get it. They fear they lack the abundance required to make their lives happy. 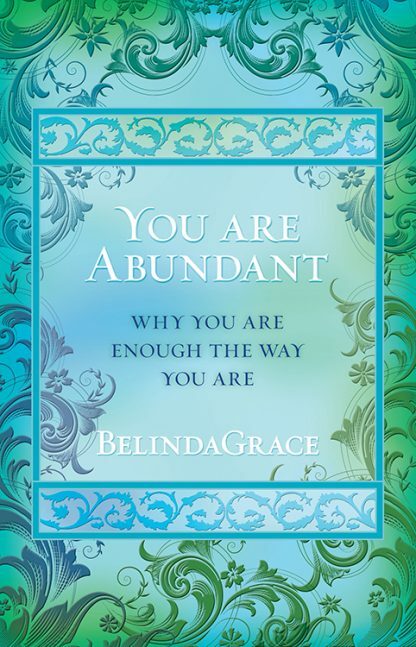 In You Are Abundant, clairvoyant healer BelindaGrace defines a new form of abundance that is essential to happiness, healing and a sense of purpose in life. With gentle encouragement and warm, compassionate words, she entreats us to look with fresh eyes at our current lives and uncover the abundance that already surrounds us and resides within. Unlike other books, which primarily focus on how to manifest more, You Are Abundant shows you that everything you need is right here, right now�and that you are enough just the way you are. It provides you with the key to unlock your best life, one in which you are already abundant, happy and grateful. You Are Abundant asks us to shift our focus from what we don�t have to what we do have, and in doing so allows us to experience a greater sense of happiness and contentment, opening the way to healing and an abundance some can only dream of.